Hi, my name is Alex Keyes, artist and realtor. In between selling houses and marketing home buying services, I hunt for monsters. 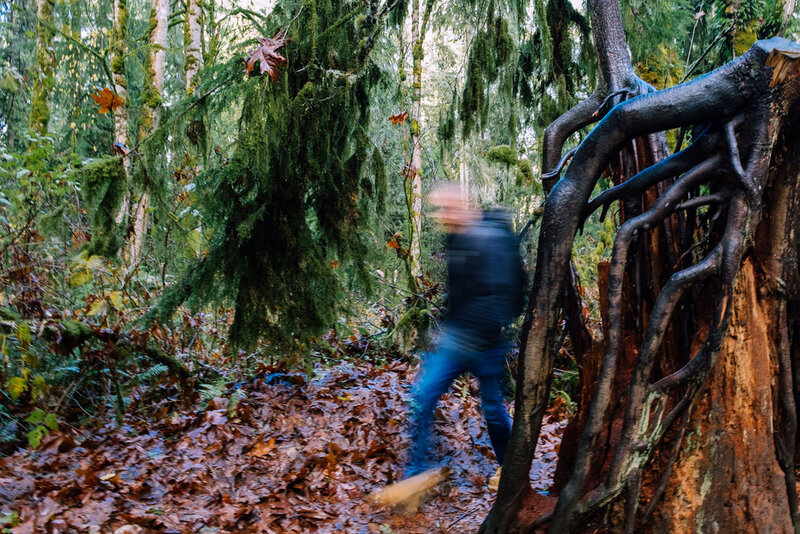 Originally an instagram takeover project, this photo series is an introduction to the world of Washington’s monsters. Since you often have to wake up early to find these beasts, I have everything I need ready to go on my nightstand. The Salish Sea defines much of the geography and culture of Washington. Because of this major waterway, we have rainforests, shipping, fishing, and urban legends around every corner. Much of my work stems from my childhood desires to explore this cultural zeitgeist. Because of the success of the popular book series Twilight, our resident vampire population is at risk. I try to keep tabs on them when I make it to the coast and visit Forks, always making sure to carry protection. I’ve been searching for Sasquatch for a while now. But come nighttime, I always get too scared to stay out with all the woodland noises and moving shadows. They say that tree octopus live in our forests, so I sometimes spend my days walking through the woods to look for them. I haven’t found any yet because they are very shy. If you have never seen video of the old Tacoma Narrows bridge buckling in the wind, look it up now. It fell into the Salish Sea, creating the perfect home for giant octopus. I’ve been waiting years to get a peak at them. If you walk through Pike Place Market and ask about ghosts you will get 100 different stories. Mostly they these ghosts just a general nuisance, but sometimes you hear about a scary one. If you are ever in Washington, let me know and we can go monster hunting together.